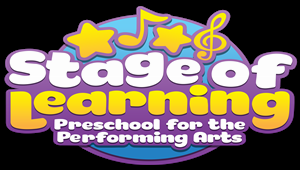 Welcome to Stage of Learning Preschool! The school cannot deduct tuition for any absences including vacations, colds or other illness. For the health of all children please do not send your child to school if they have a fever (101 degrees or higher), diarrhea, or have been vomiting. Students need to be clear of these symptoms for 24 hours before returning to school. Please call or e-mail the school if your child will be absent. As our teachers will be busy preparing for the daily activities, please drop off children between 9:00-9:15 each morning. Please be prompt in picking up your children after class. It can be distressing for children whose parents arrive late. Parents who have not picked up their child with in 10 minutes of dismissal, a $10 late pick up charge will be added to their account. If someone other that the parents of a child will be picking them up, a written note will be required giving permission for the pick-up. We will check the I.D. of the new pick up person. The teachers cannot release your child to a stranger. Tuition is charged and paid monthly. There are no adjustments to tuition for holidays or vacations. We will take a two week break for Christmas and New Year's and a one week break for Spring Break. Tuition is received using automatic electronic funds transfer (ACH). There is no cost to you to participate in this program. A late charge of $10.00 per month applies to late payments. If any circumstances prevent continued enrollment, notice must be given to the director by the fifteenth of the month prior to withdrawal or the next month's tuition will be invoiced..